The digital world is making it easier for people to get the items they want when and wherever they please. The need to wait in long lines at physical stores is slowly diminishing, and businesses of all types are starting to take advantage of the shift to online shopping. One way companies are doing so is through the subscription-based model, which gives customers the ability to get their hands on their favorite products by having them pay a subscription fee. 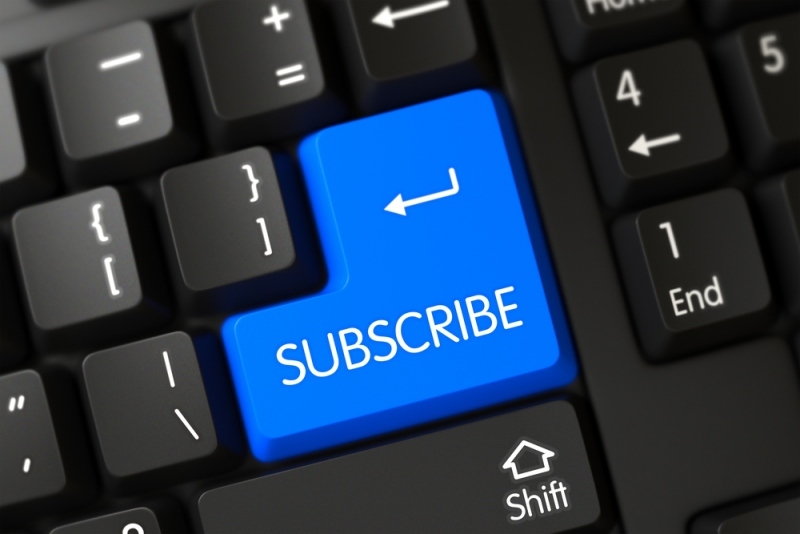 This practice has produced positive results for both businesses and consumers, and here are three reasons why the subscription-based model is taking the business world by storm. It’s important for businesses to predict how much they’ll make in the immediate future when it comes to measuring progress. Most companies would do anything to be able to tell how they would perform, because it would help decide whether they need to change their offerings. That’s where subscriptions come in, as they can create automatic monthly payment plans for customers so that you know when you’ll be able to meet your financial goals. This will determine who you can count on to make payments, as well as set a certain time during the month for consumers to make them. The system you use should also allow you to create shorter and longer plans in order to accommodate as many customers as possible. While certain consumers will have an easier time making payments than others, subscriptions can be adjusted so that you can still make more money from as many people as possible. For example, if you run a coffee company and provide a coffee subscription, you can run it for a few months to see which customers will keep coming back, and you can figure out if two-month or bi-weekly options would work for others. The digital world offers the ability to keep records of information. This can help businesses by assisting in figuring out which of their products are selling well and which ones aren’t performing as they hoped. Subscriptions will show which items and services that customers are most interested in, which is extra helpful for customers who come around more consistently than others. You can keep a record of purchases so that you can offer more of certain items, and knowing the demographic of the majority of your customers will help you determine if you need to provide more products for men, women, adults, or children. Increasing stock of items that are getting more attention will not only guarantee that your customers will stick around, but it will increase the chances that they will recommend your services to other people who they know can benefit from them. Subscriptions can also come in handy from an advertising standpoint. If you’re new to the online business world, then you should consider seeking help from an online advertising agency to promote your products the right way. With this model, you’ll soon be able to do more of the work on your own. Digital shopping already makes the consumers’ search easy by letting them shop from the comfort of their own home. This process can be made even easier with subscriptions by storing the purchase information of customers so that they don’t have to re-enter certain data that can be hard to remember. After initially signing up with your service, all customers would have to do in future purchases is press the “add to cart” button. It also helps to provide options for when and how customers can have their products delivered to them in case they are away from home but want to receive them right away. The amount of time that customers spend searching for specific items will also depend on how easy you make it for them to find their target. The best way to go about this is creating categories for certain items, as this will keep customers from being overwhelmed by the amount of options you have available and get confused about their original search. If you sell clothes, for example, then you can separate your offerings based on age and gender. The easier it is for consumers to pick what they want, the easier it will be for you to make money. Keep these benefits into consideration so that you can use subscriptions to boost your business.